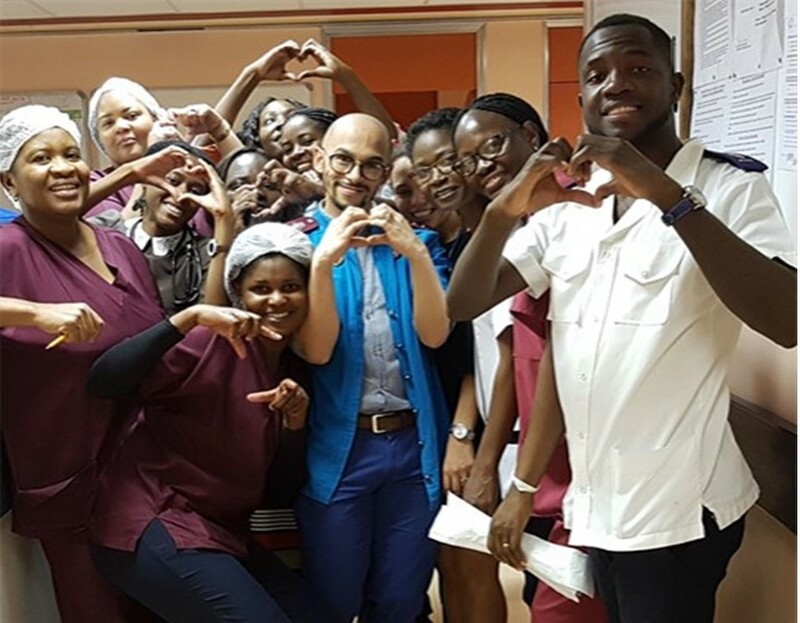 Johnathan Muller-Stuurman was invited by the Namibian Ministry of Health on behalf of Dr Fenny Shidikha (an ex APFP Paediatric Cardiology Fellow from Namibia) to provide support to the Nursing staff in the (Adult) Cardiac Critical Care Unit. The nurses in this unit had very little to no paediatric cardiac critical care experience, as they are accustomed to adult cardiac care. Johnathan’s focus was to accompany the nursing and medical team, and conduct some on-site paediatric cardiac critical care teaching in the pre- and post-operative period. This was to empower the nursing team to provide safe and specific cardiac nursing care to these children in the post-operative period in their setting. Dr Alfred Mureko, a Namibian Fellow on the African Paediatric Fellowship Programme who is completing his training in Paediatric Cardiac Surgery in December 2018 at Red Cross War Memorial Hospital. He was part of the planning committee in conjunction with Dr Fenny Shidikha. Prof Johan Brink a cardiac surgeon from Groote Schuur and Red Cross War Memorial Children’s Hospital responded to the call and supported the team with his clinical skills and expertise in the field of paediatric cardiac surgery. These Namibian paediatric cardiologists considered this outreach project to be essential in an effort to prime the ground for congenital surgery, while also tackling the long waiting list of patients needing to go to Cape Town.